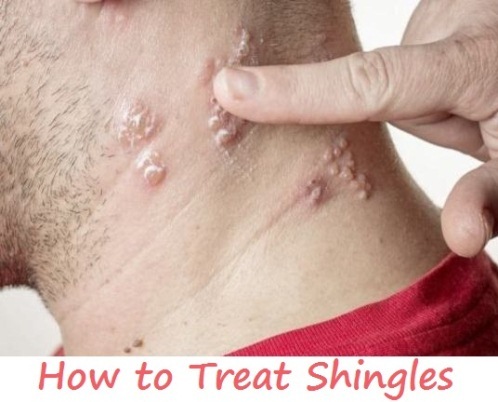 Shingles is actually a kind of disease or infection and it is scientifically known as herpes zoster. This disease is caused by a virus called varicella zoster virus. According to the modern research by Centers for Disease Control (CDC), it is estimated that approximately one million cases of shingles appear in the United States every year. It is amazed that the varicella zoster virus remains inactive in the nerve tissues of the body after gets treated by the doctors and it also causes chicken pox. At the time when this virus gets reactivated, shingles are occurred but it is not properly confirmed that what the thing that causes this virus to reactivate. Those people who already had chicken pox at the elder age or before one year of age can get shingles due to the chicken pox. 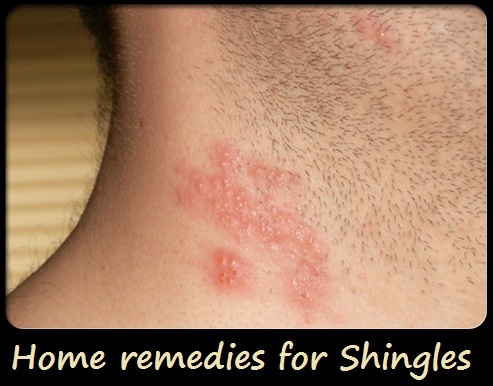 They can be at high risk of intensity of shingles. This virus can also attack people who are suffering from the severe diseases like cancer, lymphoma, and human immune deficiency virus (HIV), weakened immune system and leukemia. The parts which are mostly targeted by the shingles are buttocks, trunk and face and appear in the form of small patches. 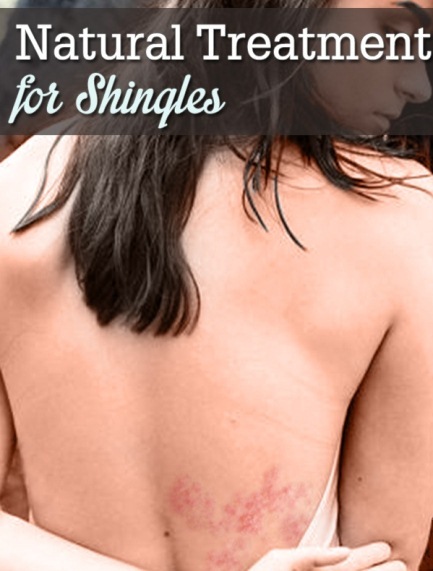 The main representatives of shingles are a red skin rash with the burning sensation and minor pain. These small patches can gradually become like a wounds and give itchy sensations. Other common symptoms of shingles are fever, headache, body pain, fatigue and sensitivity to light. Using cold water can help in control of pain caused by the blisters or wounds and also avoid the itchy and burning sensations. Take a towel and soak it in cold water, squeeze out the excess amount of water from the towel then gently place it over the blisters. Now leave it for at least 20 minutes then remove the towel. Repeat the process until you feel the pain is decreased. Another thing that you can do is take a cool bath for controlling the pain. Soak in cool water for several minutes then pat dry your skin properly. Oatmeal contains soothing properties and it gives you much relief from pain and continues itchiness due to shingles. Take a bath tub filled with lukewarm water and add two cups of powdered oatmeal. Now soak your body in this bath tub and take soothing bath for 15 minutes. Make a paste of one tbsp. of coarsely powdered oatmeal and water. Apply this paste directly on the affected parts then allow it to dry on its own. Wash it off with warm water. Repeat the remedy several times a day for one week. Apple cider vinegar is very effective for itching and irritation and so good for shingles. Apple cider vinegar is a natural antiviral and antiseptic ingredient and it will help in speed up the healing process. Take equal amounts of apple cider vinegar and water then mix them together. Take a cotton cloth in dip it into the solution. Now place it on the affected areas. Leave it for some minutes until it becomes dry. Repeat several times daily until you see some recovery of shingles. On the other hand, add one tsp of apple cider vinegar and honey then add into a glass of warm water. Drink this solution three times daily along with meals for two weeks. Aloe vera is also a brilliant ingredient for skin treating purpose and so a best home remedy for shingles. Aloe vera contains soothing and cooling properties. 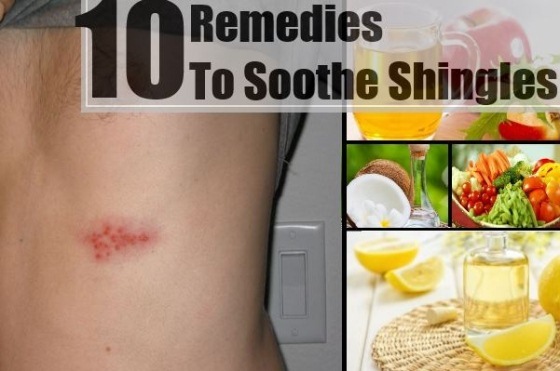 It helps in reducing the pain and itching due to shingles. Extract the fresh aloe vera gel and directly apply on the affected area. Rub the area with the help of gentle hands in the form of circular motion. Leave the aloe vera gel for about 30 minutes, and then wash it off with cold water. You can also take a cool bath. Follow this remedy three times daily for about a week. Licorice is also an excellent ingredient and has antiviral and antiseptic properties that help in the treatment of shingles completely within some time. Take one tsp of licorice powder and add a little water to make a thick paste. Apply the paste on the affected parts and let it dry to its own. Now rinse it off with warm water. Follow this remedy three times a day for about two weeks. You can also make a licorice tea and drink it daily. Garlic contains antibiotic properties thus it is good for improving the shingles and of course it is easily available at everyone’s home. Take at least five cloves of garlic and make a paste then apply directly on the targeted areas. Now wash it off with warm water after keeping it for approximately five minutes on those areas. Follow this remedy on the regular basis for two weeks. You’ve also found an option to eat three to four cloves of raw garlic daily. Garlic pills of 1000mg are also available at the medical shops so you can take it daily for making an improvement in shingles. The sores or swelling belong to shingles can be treated with the honey which is best for all the purpose related to skin. Honey has healing qualities and soon it helps in making your skin free from shingles as well as removing pain and gives you relief from itching and irritation. Take a small piece of bandage and spread honey over it now applies this on the affected parts where you found the shingles. Try to use bandages as many as you can for hiding or covering the complete area. Remember that you would have to replace the bandages with fresh honey every few hours. Also you need to eat one tbsp. of honey on the daily basis because it helps in the enhancement of immune system for fast recovery. Use pure virgin coconut oil in which antibacterial and anti-inflammatory properties that help in the treatment of shingles. Take some virgin coconut oil in a small pan and warm it for few minutes. Now immediately apply this warm oil on the affected parts so that it could not be cool down. Cover the area with the cotton cloth. Now change it every few hours. Continue this remedy until you see any improving signs. Another thing you can do is including the two to three tbsp. of virgin coconut oil in your daily diet schedule and simultaneously increasing the quantity of oil daily so this will help in the quick healing. Lemon balm is a kind of herb and it contains polyphenols and antiviral property. It helps in relieving the pain and uncomfortable situation from blisters and flushes. Soak lemon balm in a cup of boiling water for about 10 minutes then make a tea of it while make it slightly warm. Allow it to cool down then soak a cotton ball in this tea then apply this tea on the affected parts. Now leave it for some time until it dries completely. Repeat the remedy for four times daily then see the difference. Sea salt is also beneficial for the treatment of shingles as it contains anti-septic and anti-viral properties. It helps in drying up the blisters occur from shingles and recovers it quickly. Take a half cup of water and mix one tbsp. of sea salt in it. Use a cotton ball and dip it in that mixture then apply directly on the affected areas. Do this remedy for three times daily for about one week. You can also add one cup of sea salt into your bath water then soak the affected parts in it for maximum 30 minutes and do this remedy daily. If you have inflamed skin so keep it clean and dry. Do not pick up at the swellings. Always try to keep your blisters or sores exposed to air as much as possible. Use calamine lotion or capsaicin cream on the affected parts. Avoid sharing your towel, flatteries and clothes with others.